6800701 GC030AF YALE GC030AF Gasoline forklift GC series. Spare Parts Catalog. Service (workshop) Manual. Operator's Instruction Manual. 6800702 GC030BF YALE GC030BF Gasoline forklift GC series. Spare Parts Catalog. Service (workshop) Manual. Operator's Instruction Manual. 6800703 GC030SVX YALE GC030SVX Gasoline forklift GC series. Spare Parts Catalog. Service (workshop) Manual. Operator's Instruction Manual. 6800704 GC030VX YALE GC030VX Gasoline forklift GC series. Spare Parts Catalog. Service (workshop) Manual. Operator's Instruction Manual. 6800705 GC035SVX YALE GC035SVX Gasoline forklift GC series. Spare Parts Catalog. Service (workshop) Manual. Operator's Instruction Manual. 6800706 GC035VX YALE GC035VX Gasoline forklift GC series. Spare Parts Catalog. Service (workshop) Manual. Operator's Instruction Manual. 6800707 GC040AF YALE GC040AF Gasoline forklift GC series. Spare Parts Catalog. Service (workshop) Manual. Operator's Instruction Manual. 6800708 GC040BF YALE GC040BF Gasoline forklift GC series. Spare Parts Catalog. Service (workshop) Manual. Operator's Instruction Manual. 6800709 GC040RG YALE GC040RG Gasoline forklift GC series. Spare Parts Catalog. Service (workshop) Manual. Operator's Instruction Manual. 6800710 GC040SVX YALE GC040SVX Gasoline forklift GC series. Spare Parts Catalog. Service (workshop) Manual. Operator's Instruction Manual. 6800711 GC040VX YALE GC040VX Gasoline forklift GC series. Spare Parts Catalog. Service (workshop) Manual. Operator's Instruction Manual. 6800712 GC040ZG YALE GC040ZG Gasoline forklift GC series. Spare Parts Catalog. Service (workshop) Manual. Operator's Instruction Manual. 6800713 GC050RG YALE GC050RG Gasoline forklift GC series. Spare Parts Catalog. Service (workshop) Manual. Operator's Instruction Manual. 6800714 GC050TG YALE GC050TG Gasoline forklift GC series. Spare Parts Catalog. Service (workshop) Manual. Operator's Instruction Manual. 6800715 GC050VX YALE GC050VX Gasoline forklift GC series. Spare Parts Catalog. Service (workshop) Manual. Operator's Instruction Manual. 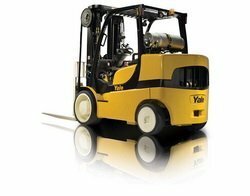 6800716 GC050ZG YALE GC050ZG Gasoline forklift GC series. Spare Parts Catalog. Service (workshop) Manual. Operator's Instruction Manual. 6800717 GC055SVX YALE GC055SVX Gasoline forklift GC series. Spare Parts Catalog. Service (workshop) Manual. Operator's Instruction Manual. 6800718 GC055VX YALE GC055VX Gasoline forklift GC series. Spare Parts Catalog. Service (workshop) Manual. Operator's Instruction Manual. 6800719 GC060TG YALE GC060TG Gasoline forklift GC series. Spare Parts Catalog. Service (workshop) Manual. Operator's Instruction Manual. 6800720 GC060VX YALE GC060VX Gasoline forklift GC series. Spare Parts Catalog. Service (workshop) Manual. Operator's Instruction Manual. 6800721 GC060ZG YALE GC060ZG Gasoline forklift GC series. Spare Parts Catalog. Service (workshop) Manual. Operator's Instruction Manual. 6800722 GC065ZG YALE GC065ZG Gasoline forklift GC series. Spare Parts Catalog. Service (workshop) Manual. Operator's Instruction Manual. 6800723 GC070LG YALE GC070LG Gasoline forklift GC series. Spare Parts Catalog. Service (workshop) Manual. Operator's Instruction Manual. 6800724 GC070LJ YALE GC070LJ Gasoline forklift GC series. Spare Parts Catalog. Service (workshop) Manual. Operator's Instruction Manual. 6800725 GC070VX YALE GC070VX Gasoline forklift GC series. Spare Parts Catalog. Service (workshop) Manual. Operator's Instruction Manual. 6800726 GC080LG YALE GC080LG Gasoline forklift GC series. Spare Parts Catalog. Service (workshop) Manual. Operator's Instruction Manual. 6800727 GC080LJ YALE GC080LJ Gasoline forklift GC series. Spare Parts Catalog. Service (workshop) Manual. Operator's Instruction Manual. 6800728 GC080VX YALE GC080VX Gasoline forklift GC series. Spare Parts Catalog. Service (workshop) Manual. Operator's Instruction Manual. 6800729 GC080VXBCS YALE GC080VXBCS Gasoline forklift GC series. Spare Parts Catalog. Service (workshop) Manual. Operator's Instruction Manual. 6800730 GC090VX YALE GC090VX Gasoline forklift GC series. Spare Parts Catalog. Service (workshop) Manual. Operator's Instruction Manual. 6800731 GC100MG YALE GC100MG Gasoline forklift GC series. Spare Parts Catalog. Service (workshop) Manual. Operator's Instruction Manual. 6800732 GC100MJ YALE GC100MJ Gasoline forklift GC series. Spare Parts Catalog. Service (workshop) Manual. Operator's Instruction Manual. 6800733 GC100VX YALE GC100VX Gasoline forklift GC series. Spare Parts Catalog. Service (workshop) Manual. Operator's Instruction Manual. 6800734 GC100VXBCS YALE GC100VXBCS Gasoline forklift GC series. Spare Parts Catalog. Service (workshop) Manual. Operator's Instruction Manual. 6800735 GC120MG YALE GC120MG Gasoline forklift GC series. Spare Parts Catalog. Service (workshop) Manual. Operator's Instruction Manual. 6800736 GC120MJ YALE GC120MJ Gasoline forklift GC series. Spare Parts Catalog. Service (workshop) Manual. Operator's Instruction Manual. 6800737 GC120SVX YALE GC120SVX Gasoline forklift GC series. Spare Parts Catalog. Service (workshop) Manual. Operator's Instruction Manual. 6800738 GC120VX YALE GC120VX Gasoline forklift GC series. Spare Parts Catalog. Service (workshop) Manual. Operator's Instruction Manual. 6800739 GC120VXPRS YALE GC120VXPRS Gasoline forklift GC series. Spare Parts Catalog. Service (workshop) Manual. Operator's Instruction Manual. 6800740 GC135CA YALE GC135CA Gasoline forklift GC series. Spare Parts Catalog. Service (workshop) Manual. Operator's Instruction Manual. 6800741 GC135VX YALE GC135VX Gasoline forklift GC series. Spare Parts Catalog. Service (workshop) Manual. Operator's Instruction Manual. 6800742 GC155CA YALE GC155CA Gasoline forklift GC series. Spare Parts Catalog. Service (workshop) Manual. Operator's Instruction Manual. 6800743 GC155VX YALE GC155VX Gasoline forklift GC series. Spare Parts Catalog. Service (workshop) Manual. Operator's Instruction Manual.